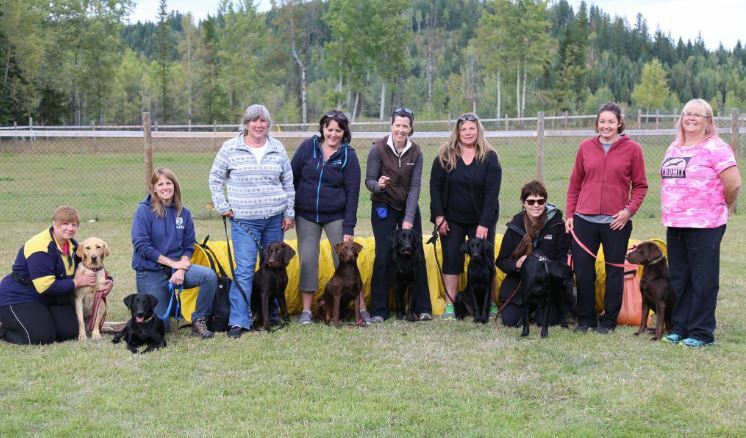 We offer a few different training options ranging from our famous Puppy Headstart training, to sport specific seminars and the more recent addition of our Dock Diving lessons! More information on each is available below. Dock Diving is the super popular sport where dogs who love to swim and fetch are in their glory. Using positive reinforcement and a gradual teaching process, dogs are taught to run down a 40 foot dock to jump off the end into our 21 x 41 foot pool. We are currently hosting lessons and open practices, open to all healthy dogs over 6 months of age of any breed, and host sanctioned North America Diving Dogs events during the summer months. Please check out our dock diving page for more info, scheduling and prices. Our background: We have been dabbling in dock jumping for ages but began competing in 2013. In the past 3 years, we became more serious seeking out professional mentorship to resolve holes in our training and purchasing a pool and dock to practice on at home. In 2015 we trained the BC Amateur X-treme Air Champ, the BC Semi-Pro X-treme Air Champ, the BC Semi Pro X-treme Vertical Champ, the Canadian Amateur X-treme Air Champ, and the Canadian PRO X-treme Air Champ. In 2016 & 2017 our own dogs earned Canadian Championships in the Xtreme Pro and Semi-Pro divisions with a number of students earning BC and Canadian championships in different divisions. 2018 was our first year hosting for the North American Diving Dogs association and it was very well received, with many of our personal and student dogs qualifying for the NADD national championship event. Our big event for the season was the Western Cup Challenge which featured the best dogs in western Canada competing for the overall best combined score in 4 dock diving events. Group Lessons & Seminars occur regularly with different focuses, taught by Erin & Tim or by other especially talented instructors from outside the local area. Agility, Obedience, Retriever Training, Fitness & Conditioning are all areas that we cover in group or private lessons. In 2017 we will be introducing some practical nosework training as well (shed antler hunting and barn hunt). Puppy Headstart Training is offered to purchasers of Eromit puppies. Puppies who are enrolled stay with us for a minimum of 2 months of training before they join their new family. This is ideal for US puppy buyers who are dealing with strict new import quarantine requirements, or for families who don’t have the skills or time to manage a brand new baby puppy. 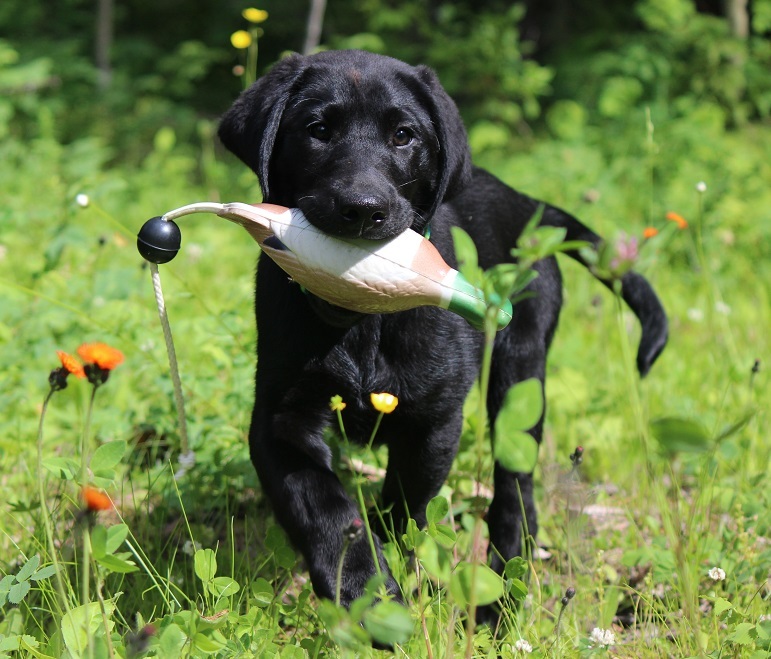 Headstart puppies are raised as one of our own so they are well socialized, learn house training and basic manners/obedience skills as well as introductions to specific training such as retrieving, agility or nosework foundations as desired by their owner. More information about this program is available HERE.